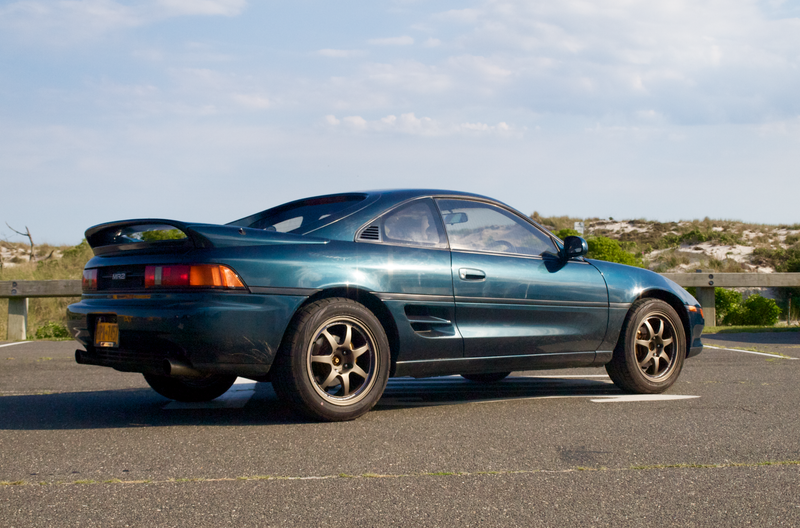 A friend of mine recently got a 1991 Toyota MR2 imported from Japan. And yes, while it is glorious to drive and fully mad tyte JDM, there’s only one thing I can’t stop thinking about in this car. It’s the floormats. I’ve been trying to wrap my head around this phrase for almost a week now, and I do fear it’ll eventually kill me much like Lewis Black’s horse. I know it must mean something, as why would Toyota, even back then a vast global conglomerate, put such a statement in one of its cars without having one of its thousands of English-speaking employees read it over? Though I think we can all agree that it is a completely nonsensical statement on the face of it, complete with incomprehensible grammar and at least one jumble of letters that I’m sure isn’t a word. But let’s break it down in the hopes of divining something from it. “A man,” is reasonable enough. Who is this man? We don’t know. The car is not the Man, we can be sure of that, as despite my inspections I could find no evidence of gender expression, identity, or genitalia. But, well, sometimes there’s a man, and there’s not much more to it than that. So fine, there’s a Man. Let’s accept it, and move past it. Is he in a house? Is he in a vehicle? Is he in peril? And no, I have no idea what the hell “dandism” is. You might think Toyota meant “dandyism,” meaning the inherent philosophy of being a “dandy,” but you’d be wrong. First of all, there’s a word that already exists for dandyism, and that’s “dandyism.” Secondly, I sometimes like to flirt with dandyism myself, and a 1991 Toyota MR2 is not of a dandyists lifestyle, no matter how hard it tries. The Japanese are fond of using English slogans to market products. So in Nagoya - the home of Toyota, no doubt hours of brainstorming yielded the word “dandism” ...and it was deemed cool. Yes but what the heck does it mean? A quick bit of research revealed that it is actually derived from the word “Dan” (as in Judo) and refers to machoism or the traditional image of Japanese masculinity and patriarchy. Such sayings don’t easily translate across cultures, so you won’t find this definition in the Oxford English Dictionary. Whereas guys are walking around with a spring in their step in downtown Osaka cos they got “Dandism” on their roof, my initial reaction was to cringe - then I saw the funny side! ...and that’s what it says on the mats. Additionally, for the benefit of those in hot pursuit, some cars have a sticker in the rear window hailing this! Now that doesn’t sound right, but I don’t know enough about Toyota’s marketing department in the early 1990s to dispute it. The concept of nouveau riche, luckily, is definitely a thing. It dates back to at least the days of the French Revolution, the wordsmiths at Merriam-Webster point out, and was used then to refer to those of originally low peasant societal and financial rank, who suddenly found themselves members of a wealthy class. Today, it also refers to the idea of being gaudy and tacky, and it has physical embodiments in the McMansion, the Bentley Continental GT, and since Toyota insisted upon it, the 1991 Toyota MR2. And lastly, there’s also “sports.” While the MR2 has a small trunk and a small frunk, it doesn’t really possess a lot of space in either. Maybe you could fit a basketball in the passenger seat. So there we have it – a tacky man is trapped inside his own ideas of manliness, whereupon he is destined to play basketball alone. So there you have it. I guess. I dunno.